Celtic-Norse beltbag. Own design. 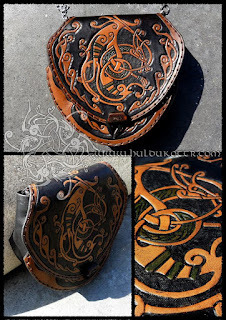 This time we were asked for a celtic norse version of Corme winged serpent. This serpent is a legendary stone from the Corme village, an ancient celtic town located in the mists of the Galician's Death Coast, in Northwerstern Spain.